We follow up our Nature Scavenger Hunt with a super fun Camping Scavenger Hunt from Ray Hintz & StuMinStuff.com! Take a break from your s’mores and get ready to spend a couple of hours having a blast with your group!! Scavenger hunts are a fantastic way to build a sense of teamwork and emphasize the importance of communication. It’s also a great way to spend a couple of hours during a camping trip! 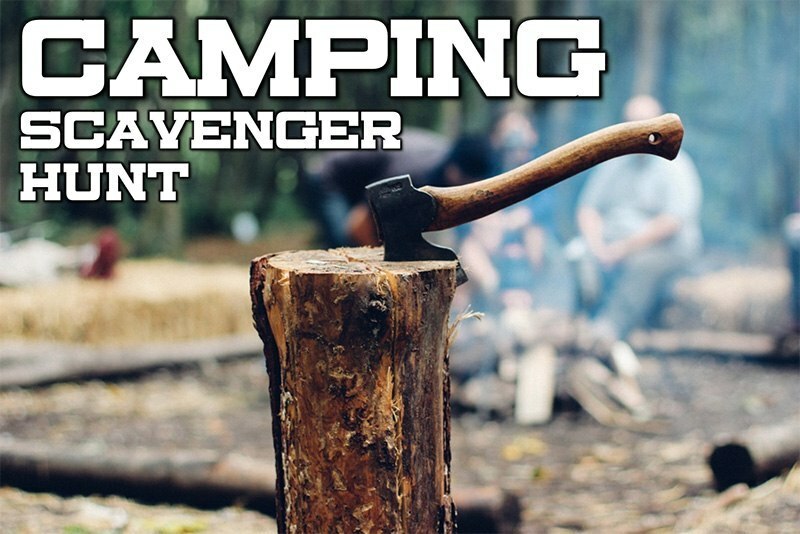 Today, we continue our scavenger hunt list with a Camping Scavenger Hunt. Print the Camping Scavenger Hunt before you start. Once your group arrives, take a moment to determine how many teams you will need, separate your group into teams, and assign them drivers. Stay tuned for more amazing Scavenger Hunts. Happy Hunting! 1. If you are playing as an event, make sure you have your drivers lined up beforehand. They also need to understand that driving safely is a top priority! 3. Cook the winning team an awesome meal or make them an incredible dessert!